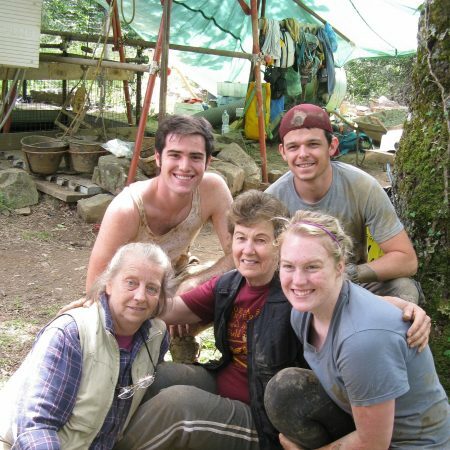 Clockwise from top left, FSU undergraduates Nat Coombes, Tyler Haynes and Ellie Margedant pose with Professor Nancy Thomson de Grummond, center, and Professor Cheryl Sowder of Jacksonville (Fla.) University, left, at the Cetamura site in Italy. Call it a toast to the past. A Florida State University classics professor whose decades of archaeological work on a remote hilltop in Italy have dramatically increased understanding of the ancient Etruscan culture is celebrating yet another find. 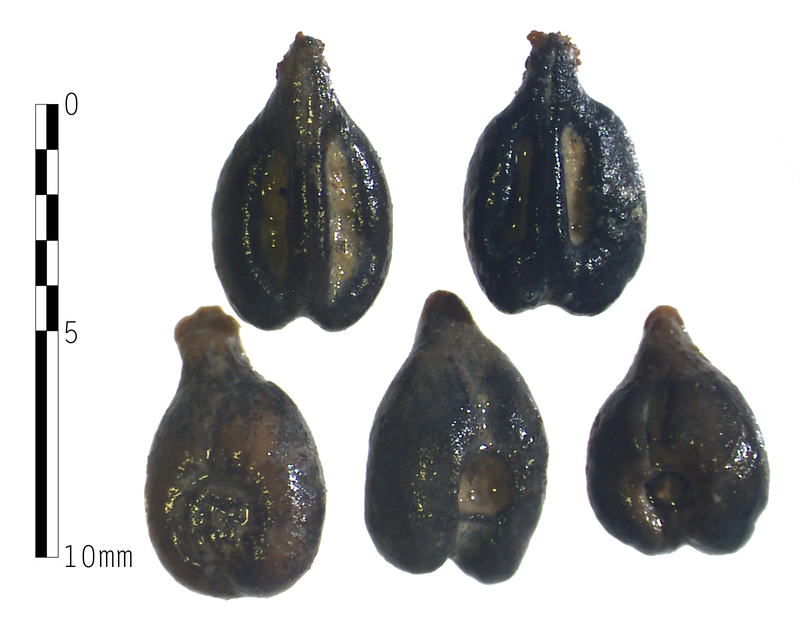 This time around it’s not the usual shards of pottery and vessels, remnants of building foundations or other ancient artifacts unearthed in past years, but rather a treasure that’s far more earthy: grape seeds. The tiny grape seeds, unearthed during a dig this past summer in Cetamura del Chianti, were discovered in a well and are probably from about the 1st century A.D., roughly about the time the Romans inhabited what is now Italy’s Chianti region. The seeds could provide “a real breakthrough” in the understanding of the history of Chianti vineyards in the area, de Grummond said. Nearly every summer since 1983, de Grummond, the M. Lynette Thompson Professor of Classics, has shepherded teams of enthusiastic Florida State students into Italy’s Tuscany region to participate in archaeological digs at Cetamura del Chianti, a site once inhabited by the Etruscans and later by ancient Romans. De Grummond is a leading scholar on the religious practices of the Etruscans, a people whose culture profoundly influenced the ancient Romans and Greeks. Her book “Etruscan Myth, Sacred History, and Legend,” the first comprehensive account of Etruscan mythology, was published in 2006. She also co-wrote another book, “The Religion of the Etruscans,” with fellow Etruscan scholar Erika Simon; that book was published the same year. The Etruscans, who once ruled most of the Italian peninsula, were conquered and absorbed by the Romans in the second and first centuries B.C.E. (“Before the Common Era”). Prior to that time, however, they were a highly advanced civilization that constructed roads, buildings and sewer systems and developed the first true cities in Europe. They also built large, complex religious sanctuaries. “We’re now getting the ‘grand-students,’” de Grummond said — a fond reference to the third generation of researchers she now works with in Cetamura. Florida State’s international archaeological summer program in Italy features field trips to sites and museums that help enrich students’ knowledge of the cultures under excavation at Cetamura. It’s open to all interested students and is particularly recommended for students majoring in anthropology, art history and classics. Learn more about the program at http://international.fsu.edu/Types/College/Italy/Cetamura/Archaeology.aspx. De Grummond said researchers in southern France who are compiling a database of vineyard seeds will study the grape seeds from this year’s dig. For more information about de Grummond’s work, contact her at (850) 644-0303 or ndegrumm@fsu.edu.